A Far Away Place is probably my favorite kid's story and I was pleased to publish it in Beyond Centauri 31 a few years ago. Kid's 'Magination, an online children's site, is a fantastic place for families to visit and I am happy indeed that they chose to reprint my story for everyone to see. Visit Issue 11 of Kid's 'Magination and let your children read this story – it is about overcoming pain and I warn you, it is sad (but in a good way). Pleasure to announce that my children's fantasy short story, A Far Away Place, has been accepted by Kid's 'Magination Magazine. This is a reprint, as it was first published in Beyond Centauri 31 in January 2011, but I am glad it is getting more exposure, as it is one of my favorites. I believe it will come out around 21 May. Ah, a small amount, but I received my first payment for a short story today – A Far Away Place, in January 2010’s edition of Beyond Centauri. I view my career as a series of steps up a ladder – this is one such rung. 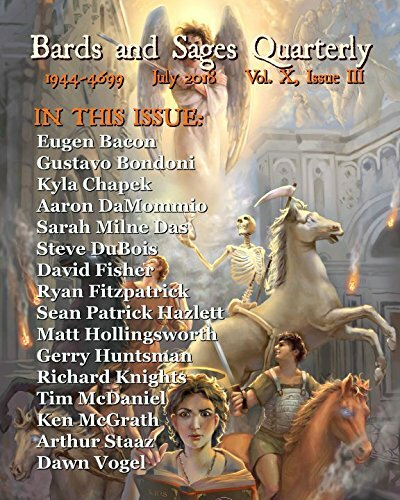 My short story for children, A Far Away Place, has just been released in Beyond Centauri magazine.